Our organization provides Idli Steamers, which are used to prepare tasty idli, a popular food item of south India. Electrically operated, these steamers are used to prepare fermented Idlis. These steamers are easy to operate and have low maintenance cost. 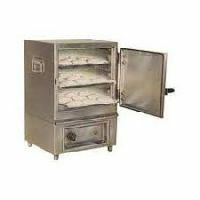 We provide a complete range of idli, dhokla, khaman, momos and other food steamer boiler that is appropriate designed to meet the need of bulk steam base cooking of various kinds of food products. Our ranges aid us in preparing a wide range of idli, dhokla, khaman, momos in most convenient manner. These are fabricated using finest quality raw material and customized as per the requirement of clients.